The Insurance Regulatory and Development Authority on Thursday announced minor changes in the health insurance regulations notified on 16 February 2013. All new individual health insurance polices except those with tenure of less than a year shall have a free look period. 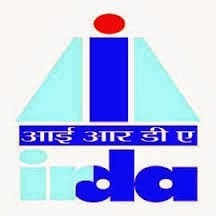 The free look period shall be applicable at the inception of the policy, IRDA said in a circular. IRDA that said insurers can provide coverage to non-allopathic treatment provided if the policyholder had received treatment only in a Government hospital or institutions recognised by it or accredited by quality council of India/National Accreditation Board on Health. The existing guidelines extended coverage to treatment received in "any suitable institution" in addition to the above. There would be no cumulative bonus on benefit based policies with the exception of personal accident cover. Cumulative bonus may not be allowed on benefit based policies with the exception of personal accident cover, the circular added. All new individual health insurance policies except those with tenure of less than a year should have a free-look period which would be applicable at the inception of the policy, the IRDA said.